His name was Ozzie. He was the college hockey star every girl wanted a piece of and who every guy wanted to be. But I didn’t know he existed. Not until the editor of the school paper agreed to give me a position in exchange for writing an article about him and his private life. I want the position. More than anything. It’s been part of my plan for as long as I can remember. But associating with jocks isn’t something I’m comfortable with given how unpopular and awkward I was in high school. I can’t let that stand in my way, though. I’m too stubborn for that. I devise a plan to meet him and it works better than I thought it would. I don’t tell him what I’m up to, and by the time I start to realize what all the fuss is about, it’s too late. My lie threatens to expose his darkest secrets and also break my heart. 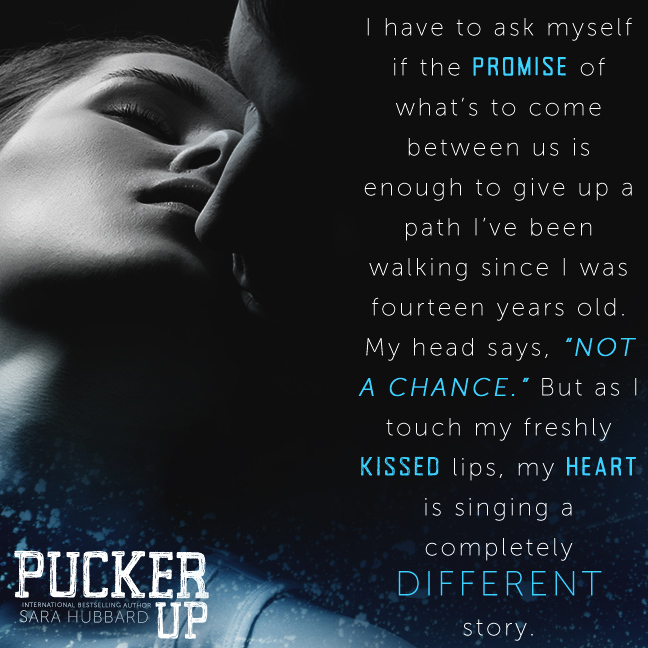 Sara Hubbard's "Pucker Up" is a great read! 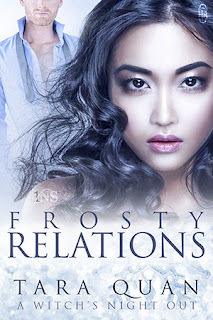 Normally, books about jocks and books where the relationship starts on a lie don't hold my attention, but this is so well-written and has such a different feel to it that I couldn't put it down. Ozzie is a broken leading man...you definitely feel for him. Felt very real. I feel like I've been Charlie before in my life. This is very different from the other things I've read from Sara Hubbard...seems like she's able to master more than one sub-genre. I will definitely read her again. Sara Hubbard is an author of romantic fiction. Her debut novel BLOOD, SHE READ released fall 2012 and was a NEORWA Cleveland Rocks winner and a RCRW Duel on the Delta finalist. Her first contemporary novel, Beautiful and Broken was an Amazon bestseller. Sara lives in Nova Scotia, Canada with her two children (four if you count her husband and her needy labradoodle) and works as a registered nurse.